In one of these videos he says something very important, that i really managed to connect to some of my own experiences only on the third hearing. The speed of life robs us of our ability to fully experience, fully feel. 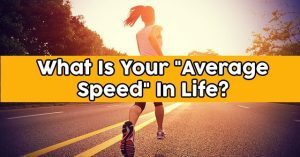 Continue reading "The speed of life… Are you authoring your life, or is life happening to you?" Author Sophie Benshitta MavenPosted on 2019-04-15 2019-04-15 Categories Activate Spiritual Capacities, Low vibration - high vibration, The Nature Of Reality, The PlaygroundTags speed of life, too fast, too much is happeningLeave a comment on The speed of life… Are you authoring your life, or is life happening to you?